Worldwide Supply offers refurbished Eltek Valere minipack rectifiers specifically designed to work with a wide range of systems and sizes. Minipack systems can fit as many as four to six rectifiers across standard shelving, including their controller and distribution units. That way, you get cost-efficient, reliable and effective DC power systems in a compact form that’s perfect for deployments in rural and urban areas. 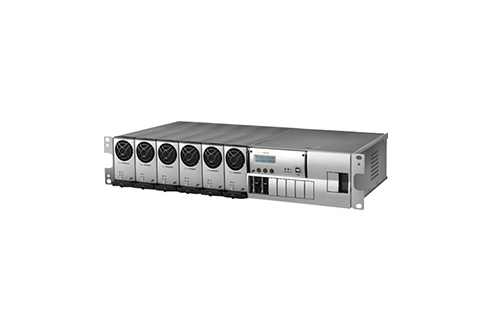 Used Eltek Valere minipack units deliver a power density of up to 7W/in3 and provide significant reliability, while lowering lifetime costs versus similar power and form factor competitors. You’ll be able to respond and scale with network speed demands and the flexible equipment it takes to respond to that elasticity. We feel that refurbished Eltek Valere minipack rectifiers can be a pivotal building block for your deployment today and your ability to grow tomorrow. The refurbished Eltek Valere minipack rectifiers offered by Worldwide Supply can operate in both a standalone and parallel capacity as part of your DC power system. Each supports digital communications over the CAN bus with a Smartpack system. Key highlights of the Eltek Valere minipacks we offer include plug-and-play connection support, front-to-back airflow for optimal thermal design and management and a form factor designed to operation efficiently in small spaces. Component reduction of 40% is possible through a digitized controller, ensuring a longer life and more reliable performance, creating a smart addition to almost any network.